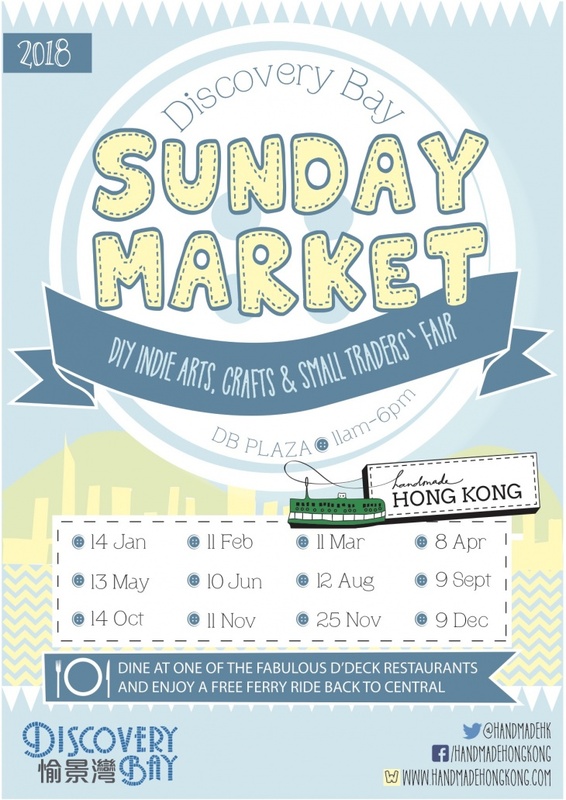 The weekend market by Handmade Hong Kong offers DIY Indie Arts, Crafts and other goods from small traders. Handmade Hong Kong proudly pops out a hoopla of a craft bazaar several times a year. These craft markets are an opportunity for the most special artists, makers, designers and bakers to show Hong Kong what they’re made of. The craft markets showcase local, independent vendors selling their handmade or self-designed wares. Featuring items such as; handmade bags, jewelry, home accessories, fine art, stationery and paper craft and children’s accessories, markets are filled with one-of-a-kind and limited edition items found nowhere else! Discovery Bay is just 25 minutes away from Central, and with shuttle bus transport you to and from Sunny Bay MTR Station, Tung Chung MTR Station or Hong Kong International Airport , it’s truly a getaway not far away!